Q. 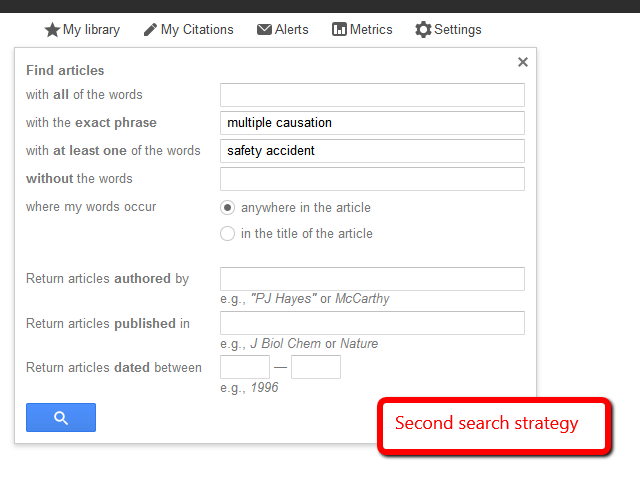 How do I find information on Multiple Causation Model and Domino Theory on accidents for OSH 261? 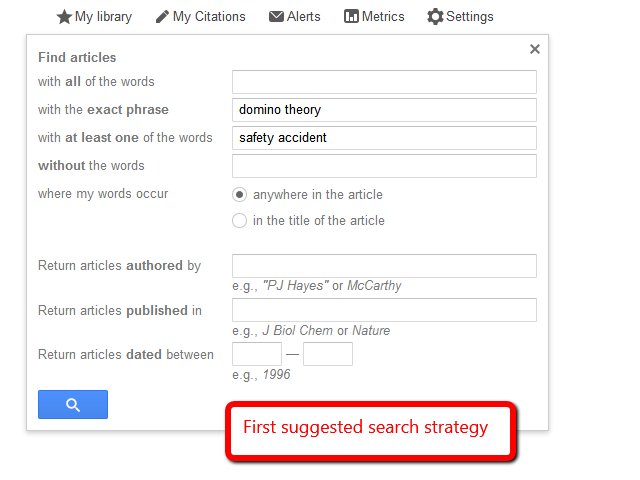 To find articles on accident theories of multiple causation model and/or domino theory, try starting with Google Scholar. 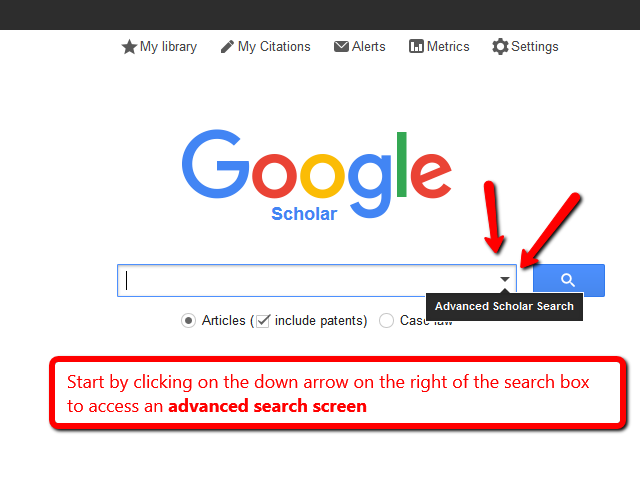 Step One: Start at the EKU Libraries homepage and click on the Google Scholar link. Step Two: Login using your EKU username and password. This is the same username and password you use to login to Blackboard. Step Three: Start by clicking on the down arrow on the right side of the search box to access the Advanced Google Search. 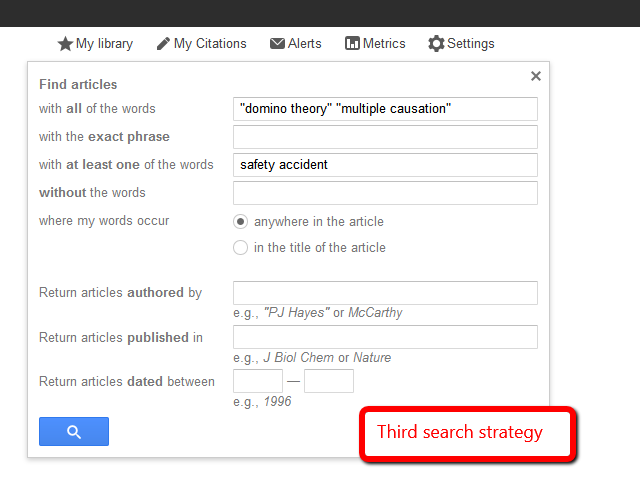 Step Four: Below are three suggested search strategies for this topic. Be sure to try using both safety and accident as synonyms as shown below. Step Five: Look for Get More at EKU Libraries links on the right side of the screen. Sometimes it is hidden under the more button. The PDF usually work too!